Google has recently released Google Home and Home Mini speakers in India. See what all features these speakers have and are they any competition to Amazon Echo. Know if you should treat yourself this year with these AIs from the house of Google. 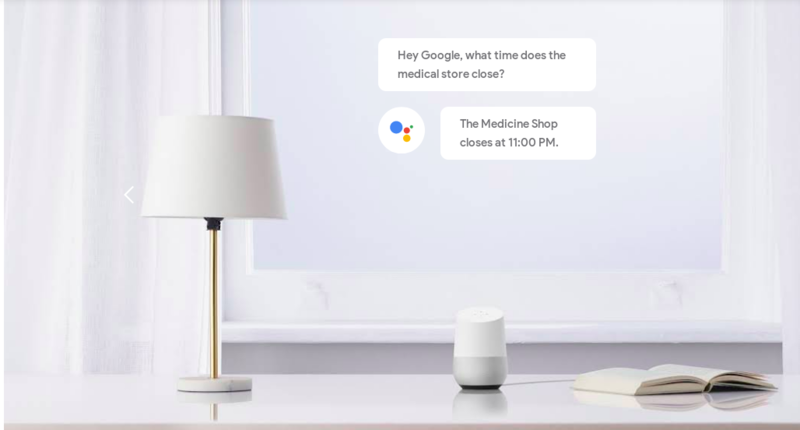 Google started selling its home-based products in the advanced countries like US and UK a way back, but its launch in India was a bit sceptical, thanks to our traditional thinking. But after the months of speculations and leaks, Google finally announced the arrival Google Home and Google Home Mini speakers. The launch created a buzz among the tech-savvy customers thinking them whether to buy this product or not. Here, in this article, we will give you a brief overview of the same. What it has to offer? Google Home and Home Mini speakers come loaded with the features and offers. Technical Specifications- Both Google Home and Home Mini come equipped with dual-band (2.4 Ghz/5 GHz), Bluetooth (for Home Mini), far-field microphones and Android and Ios compatibility. Google Home speaker weighs 477 grams and has a width of 2 inches with passive radiators made for bass. Its coloured top and white base lend it a sophisticated appeal. The coloured top has an indicator coloured Led and a touch panel for a full control. Google Home Mini offers 360 degrees sound effect along with 40 mm driver. It's light in weight and has four LED indicators on the top. Both the devices are embedded with the Google Assistant feature which informs you about the meteorology, traffic conditions, and a lot more. These smart speakers can be easily attached to the other device and have the power to recognize the different voice of the users and give them the relevant answers. In order to please music lovers, Google has ventured into a partnership with Saavn, Gaana and Net Flix along with Google's own flagship brand YouTube and Google Play Music. Internet Connectivity- Jio has joined its hands with the tech giant to offer the customers free JioFi bundled services. Customers can avail the instant data benefits of up to 100 GB in his/her Jio voucher account. The vouchers will get expired after the one year of purchase. After this, the customer has to recharge the same based on his/her own requirement. Local touch- Google Home speakers are given a local touch. These speakers can easily understand the Indian accent and respond in that manner. Price- Google Home is available at Rs 9,999 to the customers while Google Home Mini is available at Rs 4,499. Both the speakers can be bought exclusively from e-retail shops like Flipkart and various other offline stores like Reliance Digital, Vijay Sales and Croma. The price is inclusive of 6 months subscription to Google Play Music. Verdict- You can buy the newly launched speakers as it is a solid substitute for Amazon Echo Dot. Plus, it is embedded with Google Assistant features that make it livelier. It understands different accents, you can ask multiple questions and its massive search engine capability gives it an upper hand. It works with Google calendar and Google Maps, thus making the speaker much smarter and reliable. It is a low- cost speaker for people who want to enjoy best of both the worlds. It commands more attention than other speakers because its response to the commands are more fluid and prompt, but it is difficult to navigate. The category of home speakers is diversifying and till now Amazon has been the leader, but with the launch of Google speakers, it is believed that it will ear-mark a new era of competition.